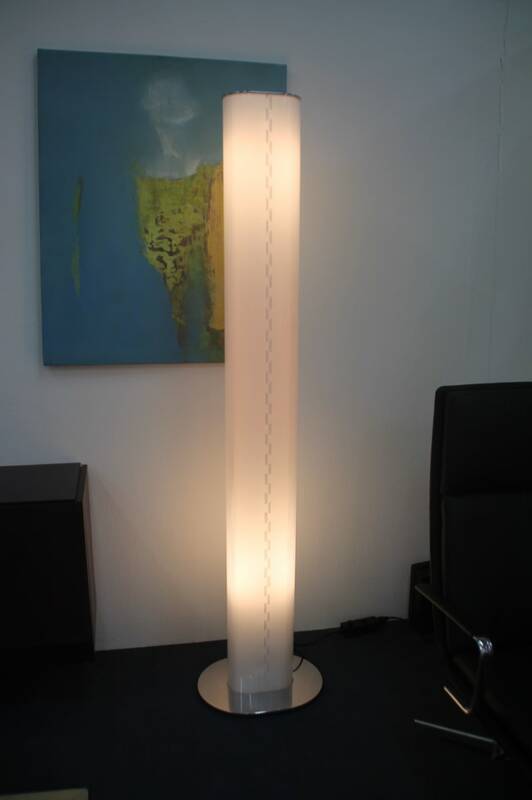 The indirect illumination of the standing light and the energy-saving lamp in the light body can be dimmed or switched on or off independently to create totally different light scenarios from powerful illumination to soft mood lighting. The light body itself shines a powerful but glare-free light through the opal film. The lower, semi-transparent part of the column imparts a floating and lightness of form to the light. creates and produces lighting for modern living and the office. the brand stands for intelligent design and technical precision. Do you have a question about "Leia"? How can we contact you?